A recent study, “The Science of Social Video: Turning Views into Value,” by the Vanson Bourne international research firm has a lot to say about a hot topic – the impact of social video on commerce. Nearly 80 percent of consumers surveyed reported engaging with brands on social media, such as YouTube and Facebook. Three in four respondents linked social video viewing to purchasing decisions. Consumers surveyed reported spending an average of six hours per week watching video content on social media networks alone, and 67 percent said that this amount has increased in the past 12 months. Americans emerged as the most likely to watch ‘how-to’ videos. In addition, nearly 80 percent of respondents agreed that video the easiest way is to get to know a brand online. We belief that’s the crux, as that’s what marketing today is all about – creating relationships and encouraging ongoing conversations. Pictures merely sweeten (and can hasten) the deal. Still, as in most media, competition is fierce and only the strong will prosper. 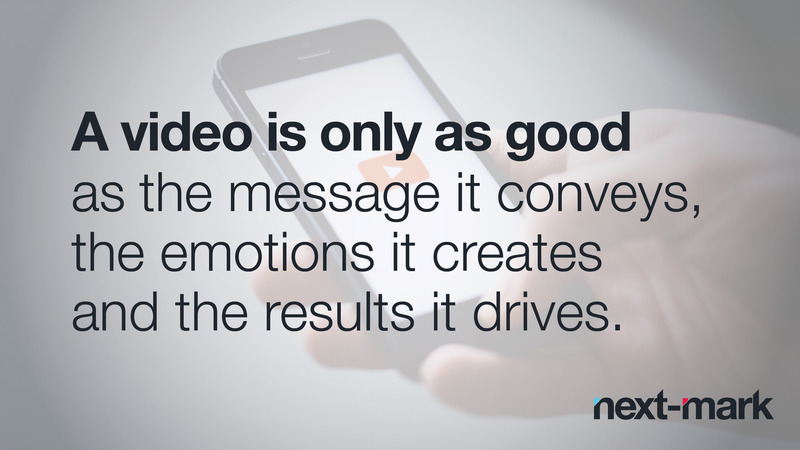 A video is only as good as the message it conveys, the emotions it creates and the results it drives. Thus, the incredible marketing opportunity afforded by social video could be quickly diminished by poor quality. If social video is, indeed, a part of your marketing plan (and we believe that, in many cases, it should be), it requires a special skill set to get it right. Getting it wrong can get it noticed and shared, but not in the way an organization had hoped. These are exciting times for an exciting media outlet. If we’ve piqued your interest, give us a buzz to learn more. We would be happy to discuss whether social video is right for your business, your product and your goals and how we can help you get started.